More than 150 alumni, students, faculty and staff joined President Steven M. Corey, Ph.D., for an historic look at Olivet College through the eyes of its leadership. On Sept. 29, during Homecoming Weekend, President Corey moderated a special panel presentation that included former college presidents Michael Bassis, Ph.D., Ray Loeschner, Ph.D., and Donald Tuski, Ph.D.
Steven M. Corey, Ph.D., joined Olivet College as its 27th president in the fall of 2010. 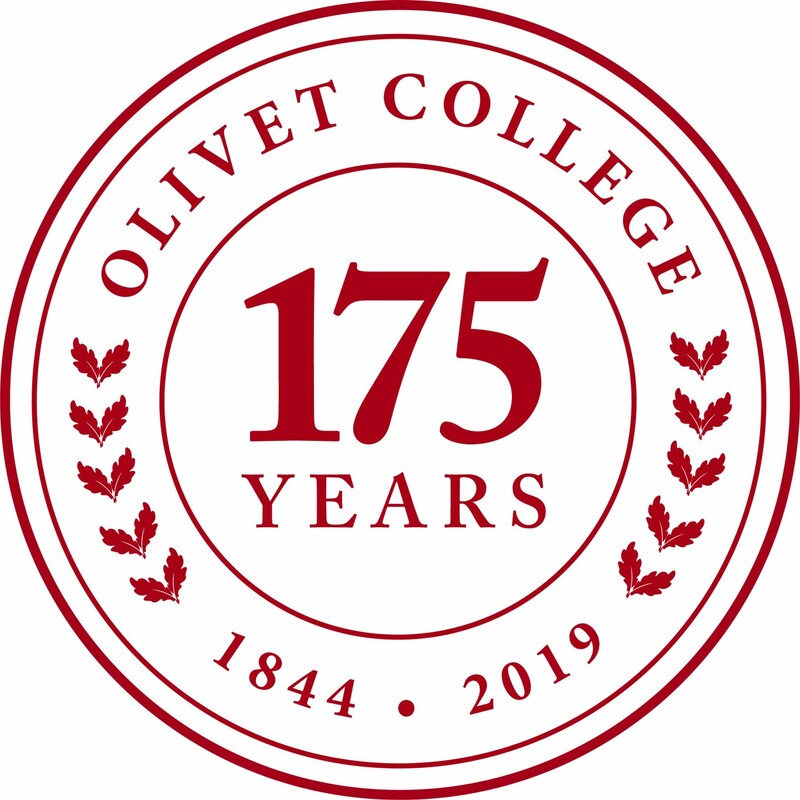 Olivet College, located in southcentral Michigan, is a private liberal arts institution guided by its values-based motto, Education for Individual and Social Responsibility. As such it has come to be known for successfully preparing a diverse student community for not only success in professions and graduate school, but also for equipping students to make a positive difference in their local and global communities. 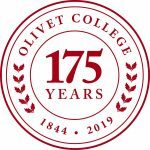 Since his arrival, President Corey has engaged the Olivet College community in a comprehensive process of charting the course for the Olivet College of 2020 and beyond, a process that is defining the future of Olivet in the decades ahead. He also inspired and led the establishment of the Olivet College ADVANTAGE which guarantees students graduation in four years and opportunities for study abroad, internships and research experiences, and community service. Dr. Corey has also established a college commitment to leadership development by initiating the President’s Leadership Institute, Employee Leadership Academy, and the Women’s Leadership Institute at Olivet College. The college has also dramatically increased its financial strength, increasing total net assets by 98 percent, endowment by 114 percent, total enrollment-related revenue by 21 percent, and achieving the highest financial responsibility score possible for consecutive years. Dr. Corey has also led a record setting fundraising effort, launching the college’s first comprehensive campaign which, at over $34 million after the first two years, is already more than double any previous campaign in college history. During this same period, the college has also accomplished unprecedented new program development, launching 10 new academic programs and 14 new athletic and co-curricular programs. 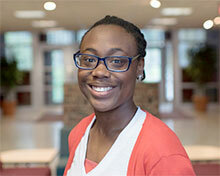 Dr. Corey has also ensured the college’s strong commitment to the greater community through the establishment of the ONE Olivet Initiative, recognizing that a strong and thriving college is dependent upon a strong, thriving and sustaining community. Prior to joining Olivet College, Dr. Corey served as executive vice president at Prescott College, where he was responsible for planning and directing all aspects of the college’s administrative and operational policies, objectives and initiatives. He holds a doctorate in higher education finance from the University of Arizona, a Master of Business Administration from Cumberland University, a Master of Science from Arizona State University, and a Bachelor of Science from California State University at Fresno. Dr. Corey was born and raised in Clovis, California and is married to Traci, also a native of central California. They reside in Olivet, Michigan and have one daughter, Karli Samantha (18). Michael Bassis served as president of Olivet College from 1993-1998. Under his leadership the college won wide recognition for its vision of Education for Individual and Social Responsibility and for the development of the Olivet Campus Compact. His work at Olivet was the focus of a case study developed by the Center for the Study of Higher and Post-Secondary Educationat the University of Michigan and was chronicled by Stephen R. Covey in his book, Livingthe Seven Habits. President Bassis began his career as a faculty member in the Department of Sociology and Anthropology at the University of Rhode Island. 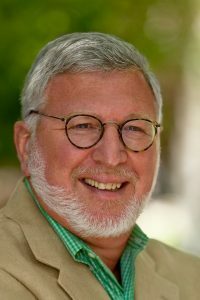 There, his interest in issues of teaching and learning led him to co-author two best-selling textbooks, serve as editor of the journal, Teaching Sociology, and chair the Undergraduate Education Section of The American Sociological Association. 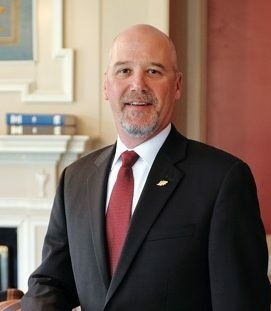 Following his years at Olivet, President Bassis led the successful effort to move New College of Florida from a satellite of the University of South Florida to its current status as an independent institution within the State University System. Subsequently, he spent 10 years as president of Westminster College in Utah. 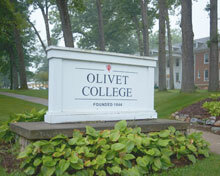 Here, as at Olivet, President Bassis led the college through a year-long process to create an ambitious strategic plan. Implementation of that plan enabled Westminster to build a national reputation for the quality and distinctiveness of its learning environment. 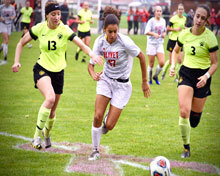 In the process, Westminster developed a 28 new academic programs, seven new centers and institutes, and eight new intercollegiate teams; built seven new facilities; doubled its operating budget; and increased freshman application by more than 300 percent and total enrollment by 44 percent. Over the course of his 40 year career in higher education, President Bassis has published widely and has served on advisory boards and project teams with numerous foundations and professional associations, including the American Council on Education, the Association of Governing Boards, the Association of American Colleges and Universities, the W.K. Kellogg Foundation, Campus Compact, The New American Colleges and Universities, and the Project on the Future of Higher Education. A graduate of Brown University, President Bassis holds M.A. and Ph.D. degrees in the Sociology of Education from the University of Chicago. He and his wife, Mary, have four grown children. President Ray B. Loeschner was born in McCordsville, Ind., and grew up in Grand Rapids, Michigan. He attended Grand Rapids Junior College where he earned an associate of arts degree in 1951. In 1953, he graduated from Albion College with a B.A. He completed his education by earning an M.A. and a Ph.D. in education and psychology at Northwestern University in Evanston, Illinois. Before beginning his graduate studies, President Loeschner served in the U.S. Navy and coached football and track at Lake Forest College in Illinois. While working on his degrees at Northwestern he was an instructor and assistant football and track coach. President Loeschner began his post-graduate career as assistant professor and head football coach, track coach and athletic director at Augustana College in Rock Island, Illinois, from 1959-64. Between 1964 and 1966, he served as dean of student affairs and a professor of psychology and education at Washburn University in Topeka, Kansas. In 1966, President Loeschner returned to Michigan, as assistant to the president at Eastern Michigan University. The following year, he was also appointed vice president for administrative affairs which included supervisory responsibilities for academic affairs, student affairs, public affairs and off-campus education. In 1970, President Loeschner was appointed president of Olivet College, a post he held until 1977. Dr. Loeschner assumed the presidency of Ohio Northern University on August 1, 1977 and served until July 31, 1979. He left Ohio Northern to join the Charles Stewart Mott Foundation in Flint, Michigan as the chief administrative officer until 1986 and served as a consultant to the Foundation until 1992. President Loeschner founded Loeschner Enterprises, Inc., a consulting, real estate and recreational business in Grand Rapids in 1979, and in 1986, after leaving the Mott Foundation, he directed a number of major capital campaigns in Grand Rapids. He received Distinguished Alumni awards from Grand Rapids Junior College, Albion College and Northwestern University. 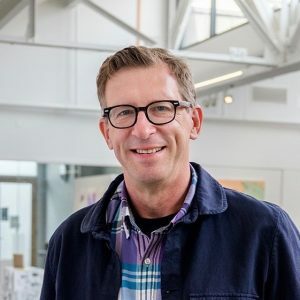 President Loeschner is a founding member of the Frederik Meijer Gardens & Sculpture Park, from which he received a Founders Award in 2005, and is the founder of the Frederik Meijer Gardens & Sculpture Foundation. 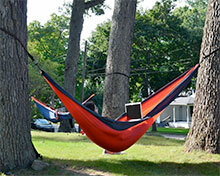 He and his wife Nancy received the Bravo Award from the Grand Rapids Symphony in 2001. President Loeschner continues to serve on a number of boards and is active in the Grand Rapids community. Among his athletic honors President Loeschner was a golden gloves and pole vault champion. At Albion, he was all conference in football and track, Albion’s most valuable athlete 1952-53, and named to the little all-America football team. Albion retired his football jersey No. 53 in 1953. President Loeschner is also a charter member of Albion College’s Athletic Hall of Fame. 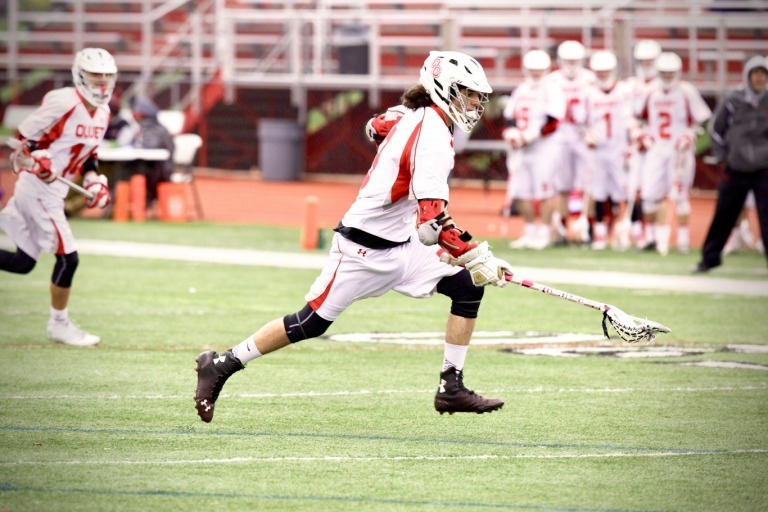 Don Tuski chose to attend Olivet College to study biology and play basketball. He was also a member of Phi Alpha Pi Society. He went on to earn his master’s degree and doctorate degree in anthropology from Michigan State University. President Tuski has been involved in higher education continuously since he was an undergraduate. He served as a soccer coach and residence hall director, and later as professor, associate vice president for academic affairs, dean and vice president of academic affairs, acting president, and, finally, president. 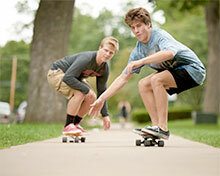 During President Tuski’s tenure as president at Olivet, the enrollment grew from 759 in 2001 to 1,147 in 2009. 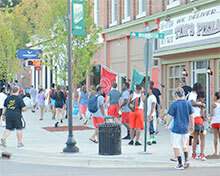 At the same time, fundraising was focused on improving better scholarships and facilities. 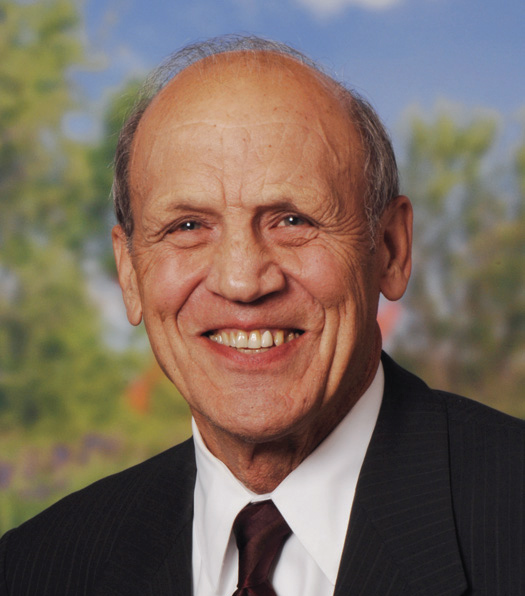 President Tuski was directly involved in raising over $22 million, which provided support for a new events center; auditorium; chemistry and physics lab; smart classrooms; football field and track; housing; and an art building. Beginning in 2010, he served as president and professor of anthropology at Maine College of Art. During his six years enrollment increased by 22 percent and revenue by 39 percent along with increased selectivity. With the support of two major gifts totaling over $4 million, new programs in textile and fashion along with art and music were created. 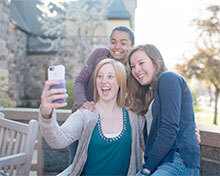 In addition, $600,000 was raised to acquire the SALT Institute for Documentary Studies. He became president of Pacific Northwest College of Art and Professor of Anthropology in July of 2016. A new program in footwear design was launched in 2017 in partnership with Pensole Footwear Design Academy. 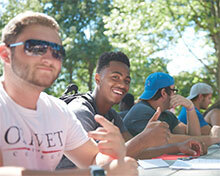 The incoming class for fall 2018 is expected to be the largest in the school’s history. At all three schools President Tuski has continued to teach at least one class each year, which keeps him connected to students, and has made sure that career services were well supported.